Chicken salad is a great go-to meal during Summer for three reasons: it requires little to no cooking, you can make it ahead of time, and it is so cool and refreshing to enjoy on a hot Summer day! 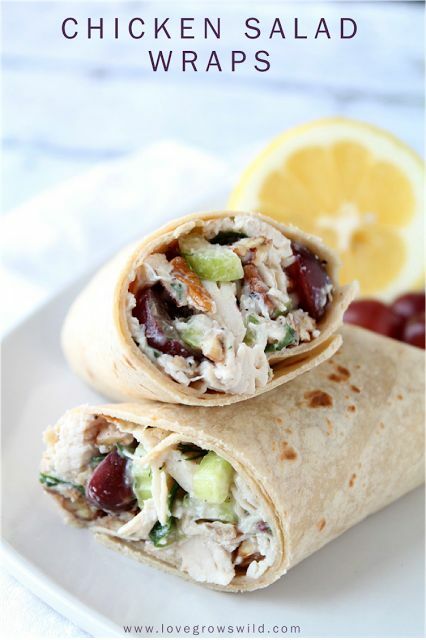 Everyone has their own version, and today I’m sharing my perfect, classic Chicken Salad Wraps!Chicken salad is one of those recipes that everyone has their own version of. After polling my Facebook followers, I learned some of the many ways you all like your chicken salad.